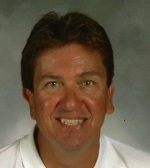 Mike moved to Lancaster from Philadelphia in 1986 to coach the boys at ELCO High School. ELCO won state championships in 1986, 1998, and 2003 with a state runner-up in 2002. He is a NSCAA National Staff Coach and is the NSCAA PA Technical Coordinator. He coached Philadelphia Community College for four years winning a state title in 1985, and also coached girls with LANCO United. Coaching credentials include the NSCAA International Premier Diploma in Brazil, NSCAA National Merit Award, and three times was named PA State High School Coach of the Year, PA Soccer Coaches Honor Award/Hall of Fame and Central Chapter PA Sports Hall of Fame.